Noooo! Fulham have only gone and done it. Brentford have a day off on Saturday. FA Cup capitulation at the hands of Chelsea (a game where we put in a performance that was very much the Murray Jones to their Dean Holdsworth) sees us now kicking our heels. Just a few miles up the road, however, near neighbours Fulham are in cup action. They entertain Tottenham on Sunday. It is a game which made me sit up and take notice yesterday, but for a very wrong reason. At a time when Donald Trump is beating all comers hands down in the apparently deranged stakes (his explanation of what uranium is has me intrigued, yet genuinely terrified, about what his next bit of amateur science might be), he seems to have a rival. The Fulham club shop. Bear in mind this is the club that has already brought you ‘The Neutral stand’ and ‘The Gin bar’. A club who introduce ‘clackers’ and ‘giant foam fingers’ to try and help the home fans generate some atmosphere. Then, of course, there was that business with the Michael Jackson statue. Yet even by their previously odd standards, they have now gone ‘full Trump’. What is the most scorned thing about modern football? Tourists on a day trip to Chelsea or Old Trafford? Grown men in full kit on a match day ? ‘Hilarious’ shirt names (I 8 Spurs etc I don’t, for the record)? Selfie-sticks? All are bad and yet one thing still transcends them all. The half and half scarf. There is no logical reason as to how this has sprung up or why any football fan of sound mind would buy one. Who wants memorabilia celebrating another team? Who wants to wear the opposition colours? Let alone in this most happy-clappy of styles? Over priced and cheaply produced tat. Something so offensive that no self-respecting club has even embraced previously. Up until now these abhorrent items have only been available from the street hawkers. Up until now being the key phrase. Because, of course, Fulham have stepped forward. With this. Officially. In their official club shop. I may be late to this party but I don’t care. Irony goes full circle as Fulham break the fourth wall. Get your official half and half scarf. This has to be a joke? Surely? Would any self-resecting club really do this ? Part of me hopes that Matt Jeffrey is just a fake twitter ID, playing a very long game in order to spoof the hapless Cottagers. Yet with over 1500 tweets already, and seemingly all the right credentials, he looks legitimate. And he is encouraging his Fulham fans to wear a Spurs scarf. Or, at least, half of one. You know what, I hope they win. Genuinely. For no other reason than one can’t even begin to imagine what their marketing team will dream up for the quarter finals. Half and half shirts, here we come…. As Burnley await Brentford and Andre Gray, is this a gamble from Matthew? The inevitable has finally happened. After weeks of speculation linking Andre Gray with Hull and an unsuccessful £9 million bid from Bristol City, Burnley met both the asking price and the striker’s aspirations to secure a deal that sees Brentford smash their inward transfer record by a country mile. Whilst, officially, ‘undisclosed’ it is a fee that is universally reckoned to be 3 Lewis Grabbans (or, at current prices, the equivalent of 9 Will Griggs). One would go crazy trying to extrapolate that outwards to the equivalent in Proschwitzs. 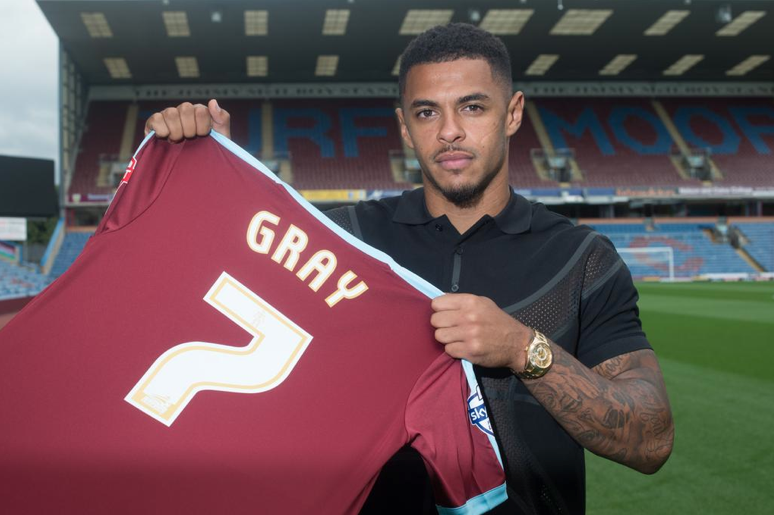 Gray is now a Claret. But surely that should be a 7 (seven) ? This isn’t the doom and gloom that you’d believe from looking at social media following the news. For starters, the sort of money being talked about is incredibly hard to resist. Nine. Million. Pounds!! An 18x increase on what we paid just over a year ago. Burnley have been unable to complete the paperwork in time so Andre will have to sit this one out from the stands whilst, for the Bees, it means our choice of strikers still includes full Danish international Lasse Vibe and German U-21 Philipp Hofmann. These are players of proven quality and hardly the equivalent of being left with the aforementioned Proschwitz. An obvious statement, perhaps, but a very true one. Whilst the price tag was a massive inducement to sell, it is still a decision that will have been considered on myriad other levels. Like Tom, I have no doubt the club have targets in mind and we’ve already seen a few names bandied about in the prelude to the sale being confirmed. If nothing else, the speculation is finally over. We can now move on, knowing who makes up a squad that has, don’t forget, still seen more come in than go out over the last few months. Let’s be clear – I would have loved to see Andre stay. He has already hit the ground running this season and will no doubt have every success at Burnley. But he has gone. 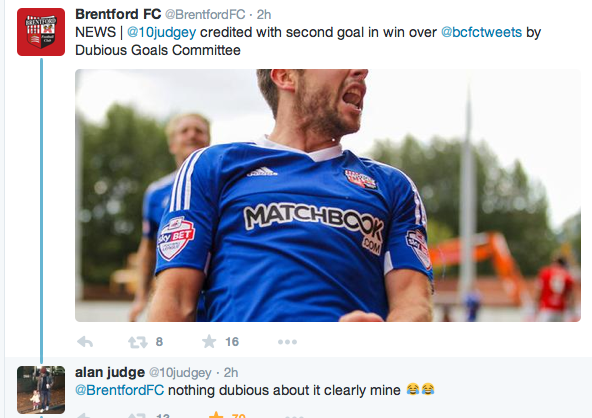 All the wailing and gnashing of teeth from Brentford fans won’t change a thing. For sure, Matthew Benham has taken an on-field gamble in allowing a proven goal scorer to leave, but getting overly upset about this pays a tremendous disrespect to both the rest of this team and his own, longer term, plans. Keeping his cards close to his chest is something that Matthew has done exceedingly well over the last few seasons as, time and again, we’ve been caught cold by his and the club’s transfer plans. As a fan since 1979, Matthew will be well aware of our own history and what happens when you replace a Dean Holdsworth with a Murray Jones. Indeed, we’ve already scored six goals in two league games this campaign and, whilst two have come from Andre, the rest were very much shared around with Tarks, The Hoff, and an Alan Judge brace rounding things off. The other point of note was something suggested last night by one terrace wag who has asked if Brentford are adopting a policy of allowing somebody to join our next opponents? Jonathan Douglas signed for Ipswich Town in time to tackle Jota and help concede two goals after he had entered the field of play with his new team in a seemingly unassailable position. Next up, the club agreed a fee with Bristol City at a time that Andre had been heavily linked with a side we would go on to beat 4-2 last weekend. Then, the day before we are due to visit Burnley, we have completed the sale of the player who found the back of the net 18 times for Brentford last season. What next, Jack Bonham to Reading? Andre will be missed, no doubt. I do also wonder if given his sharp, upward, career moves that Burnley fans could be saying the same thing in twelve months time? As he has already noted on his new club’s twitter feed, “Last season was a test for me, but that learning curve is why I’m at this club now”. So there you go, cynics. It’s not all about the money. Burnley are the next rung on his career ladder. And if ever Brentford fans needed a motivation to get behind our team and show Andre which is the club on the up, then we’ve got the perfect one at 3pm on Saturday. In possibly the least surprising news of yesterday, the club announced that Tommy Smith and Nick Proschwitz will both be released in the summer. Tommy, who joined from Cardiff, and Nick who came in from Hull City AFC for the start of this season, had mixed fortunes at Griffin Park. 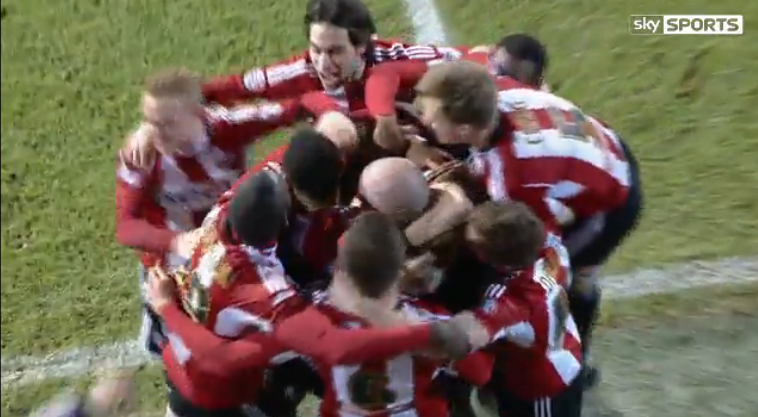 Tommy, of course, will be remembered for notching up Brentford’s first goal in the Championship. It was a strike that came in the season opener at home to Charlton Athletic and, despite not troubling the scorers again, he made many notable appearances from the bench as he chalked up 32 appearances for The Bees over the campaign. At 35 years old, and having been signed on a twelve-month deal last year, it was unlikely that Tommy was ever going to stay beyond the end of the campaign. Nonetheless, he always gave the impression of one who tried his all when he was given the chance – most notably during the no-show at The Valley in the midst of February’s Football Village affair. In the case of Nick Proschwitz, despite having an option for a further 12 months the club have decided not to activate it. On the ‘surprise’ front, this is news on a par with today’s announcement that 6 FIFA members have been arrested on corruption charges. Much as I was desperate to see Big Nick do well, he failed to adjust to our team and our system. The clincher for me was seeing Sam Saunders having to steal the ball off his toes during the Boxing Day defeat to Ipswich Town in order to stab the ball into the net. But you could count any number of misses or leaden-footed touches that will see him go down in Griffin Park folkore, of the wrong sort. It is a real shame for both him and the club. When Brentford were crying out for a striker to step up to the plate following the horrific injury to Scott Hogan at Rotherham back in August, here was the chance. Indeed, Nick managed to find the back of the net after replacing his injured team mate in that game and it seemed we had somebody ready made to step into the breach. 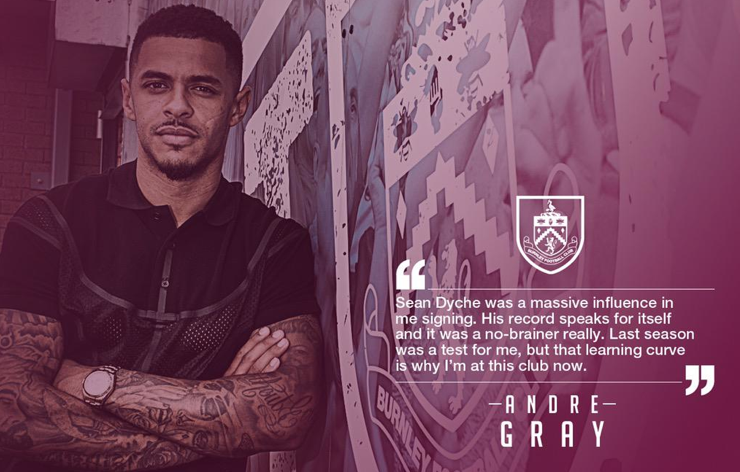 Alas, it wasn’t to be as Andre Gray made light of the leap from Conference to Championship over the coming months. But for some support, who knows…? 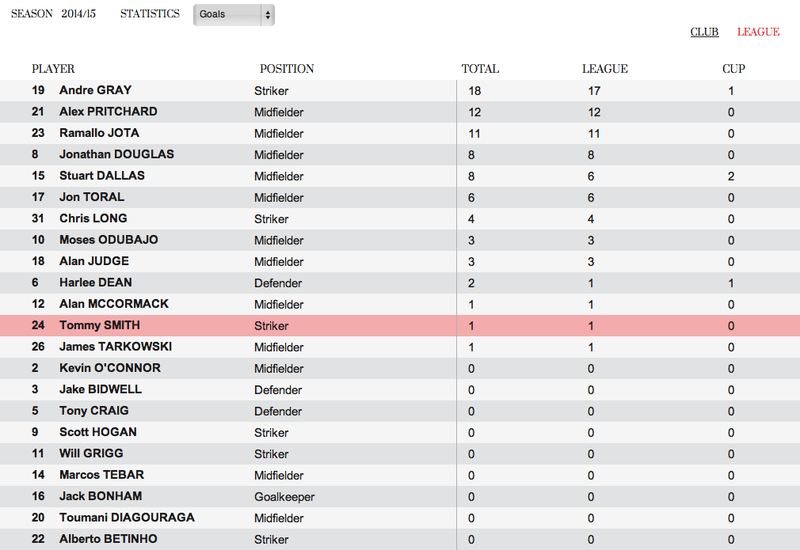 Indeed, checking back on his stats this morning, even the club appear to have purged his record from history. Please, let’s be clear. To step onto a football field as a professional takes an enormous level of ability. Let alone to play at the highest levels of the domestic game, which Nick did. As somebody who got knackered just running out of the tunnel in the infamous Martin Allen ‘fans v first team’ game, it’s probably a bit hypocritical for me to be overly negative about somebody who has done that. Indeed, it gives me a genuine regret to speak negatively about any ‘Bee’ but sometimes things just aren’t meant to be. Despite the management unearthing some wonderful gems in the likes of Jota, Andre or Alex Pritchard this season (to name but a few), we missed the target this time around. 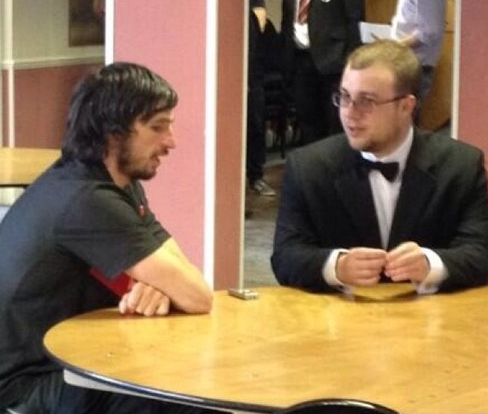 Perhaps Nick’s Brentford career is best considered a case of ‘wrong player in the wrong team’. A 21st century Murray Jones, if you will. And if you want to read more about the events of 2014/15, the amalgamated Last Word season compendium: Tales from the football village (from Saunders territory to unchartered ground), is now available to download onto Kindle (and other electronic reading device) in full. Running from July 2014- May 2015 it contains some additional material and is available for less than the cost of a Griffin Park matchday programme. With the dust still settling on the stunning events of the weekend as Brentford beat Derby County and Wolves in the race for a play off place (where, of course, we start proceedings against Middlesbrough on Friday) this column has been handed over to a guest contributor. Long time Bees fan fan and regular Last Word reader Justin (@BeQuietJustin on twitter) outlines his ten things that have defined Brentford’s 2015/16 campaign to date. So without further ado, here are his thoughts…. That leak – February’s main item of club news was that Mark Warburton and Matthew Benham couldn’t reach agreement about the backroom direction of the club which ultimately meant Warburton would leave at the end of the season, coinciding with the end of his contract. This was reported as a sacking by some extremely lazy journalists in the national press and The Football League Show’s Steve Claridge doggedly insisted that the news was the reason behind any time Brentford didn’t win convincingly in a division they’d only just been promoted to. The fans’ chanting of Warburton’s name during games, and the players’ celebrations with the manager after Andre Gray’s opener against Watford, showed that those a little closer to the club were unfazed by the largely unwarranted media nonsense. Signing woes – This season brought with it half a team’s worth of interesting signings, many of whom were either injured on arrival or ended up that way. Scott Hogan was hoped to be the eventual number one striker but picked up an anterior cruciate ligament injury after playing a mere 30 minutes. Everton loanee Chris Long contributed four goals in some admirable performances with raw willing and talent before being sent back to his parent club for injury assessment and exacerbating the problem in a youth cup game. The Championship-experienced Nick Proschwitz had potential but his finishing soon left fans recalling such legendary names as Clyde Wijnhard and Murray Jones. Exciting Sporting Lisbon forward Betinho apparently did not adjust well to the English game and disappeared from the matchday squads after playing just 13 minutes. Defensive dithering – The new footballing way at Brentford dictated that no longer would we be pumping a long ball over the top for the big striker to knock down to the little one for a shot on goal. Methodical, patient, possession football in the vein of the Spanish national team was the new style and that brought with it a reduction in long goal kicks. Playing out from the back, enabling the defence to link with the 5-man midfield and draw defensive lines out of position, was something very few expected to see from a League One team and this was refined further this season. However, it also brought with it a fair share of head-in-hands moments, with goalkeeper and defenders seemingly unaware of what was going on around them at times. Numerous occasions brought a short pass to a defender and back to David Button for him to hurriedly lump the ball up the field under pressure when it would have been easier to clear the lines properly and take a standard goal kick. David Button – Where would we be without some of David’s fantastic goalkeeping? The spectacular double save at Carrow Road has to be a major contender for save of the season, closely followed by great performances at home against Bournemouth and Watford, among many others. With Richard Lee’s recurring shoulder injury ultimately leading to him announcing his retirement and subsequently going on loan to a team whose name escapes me, fans were understandably concerned about what would happen in the event of David’s injury or suspension. Jack Bonham looked comfortable in his single appearance against Brighton in the FA Cup, with defensive lapses giving him little chance against two late goals, but the young number two (technically, three?) wasn’t required further. Brentford 4 Wolverhampton Wanderers 0 – More money and an established, Championship way of thinking and playing saw Wolves romp home to the League One title last May, finishing 17 points clear of the playoff positions. This game relatively early on in the season was seen as a marker to determine how Brentford would cope in the division against supposedly ‘bigger clubs’. An emphatic victory rounded off an excellent November consisting of five wins from five games, spawning the infamous #novemberkings hashtag on the club’s Twitter feed. At the end of the regular season, it turned out that this was the result that counted. A 1-0 win for Brentford would have put Wolves in the playoffs and Brentford 7th on goal difference. (editor’s note: (seventh)). Andre Gray – Essentially our only true striker this season, Andre massively outperformed early expectations in which he was thought to be playing second fiddle to Scott Hogan. Having jumped up three divisions from the Conference, there was cautious optimism among fans, tempered with a generous helping of wondering where the goals would come from if Brentford were to have a hope of staying in the division. Thumbing our collective noses at the experts’ pre-season predictions – The pundits certainly hadn’t been paying attention to Brentford’s style of play in the previous season and gave them very little chance of making a dent in the Championship promotion race. As we’ve seen numerous times in the last couple of seasons, underestimate this team at your peril. The most infamous pre-season prediction was that of FourFourTwo magazine, who got numerous things very wrong in their proposed final table (left). Toumani Diagouraga – Another of my shortlist for the player of the season award. After being farmed out on loan to Portsmouth for eight games last season, many fans suspected that would be the last we saw of the composed, unpredictable midfielder at Griffin Park. Toumani fought his way back into a midfield that looked like it would never be able to accommodate him due to other players’ performances and has put in 41 appearances so far this season, including numerous man of the match displays. He has been an absolute pleasure to watch, specialising in breaking down attacks with seemingly telescopic legs and twisting opposition players into knots with some brilliant yet, at times, utterly baffling footwork. Alan Judge – My player of the season. Alan missed games in January and February through injury but it was clear how much we missed his creativity in his absence. Taking over the Sam Saunders mantle as the midfield playmaker, Alan finds space in the centre circle with driving runs to assist or take shots on goal and can spread the play to the wings with ease. Bees up, Fulham (almost) down – Perhaps not the biggest thing to happen in the grand scheme of this season, but an emotional choice and an away day that most fans had been looking forward to since the minute the fixtures were released. Doing the league double over one of our fiercest local rivals showed how far the club has come. From being easily rolled over 5-0 in 2010’s pre-season, to a late home winner and comprehensively spanking that lot down the river in their own back yard, this pair of results gave the long-suffering Bees faithful yet another reason to be proud of what the club has achieved this season. It’s not over yet, but we have more than enough to celebrate. Here’s looking forward to August, no matter which division Brentford are in!